Chandler Stephenson Jersey There are 35 products. 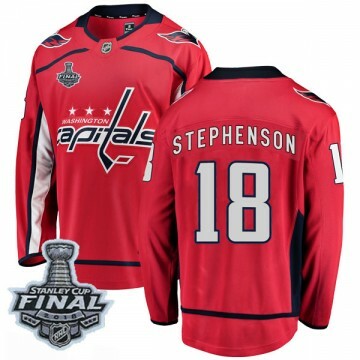 Showcase your dedication to the Washington Capitals by wearing this Breakaway Fanatics Branded Men's Chandler Stephenson Washington Capitals Home 2018 Stanley Cup Final Patch Jersey - Red. Showcase your dedication to the Washington Capitals by wearing this Breakaway Fanatics Branded Youth Chandler Stephenson Washington Capitals Home 2018 Stanley Cup Final Patch Jersey - Red. 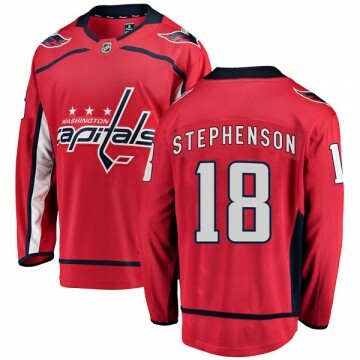 Showcase your dedication to the Washington Capitals by wearing this Breakaway Fanatics Branded Men's Chandler Stephenson Washington Capitals Home Jersey - Red. Showcase your dedication to the Washington Capitals by wearing this Breakaway Fanatics Branded Youth Chandler Stephenson Washington Capitals Home Jersey - Red. Showcase your dedication to the Washington Capitals by wearing this Breakaway Fanatics Branded Men's Chandler Stephenson Washington Capitals Away 2018 Stanley Cup Final Patch Jersey - White. Showcase your dedication to the Washington Capitals by wearing this Breakaway Fanatics Branded Youth Chandler Stephenson Washington Capitals Away 2018 Stanley Cup Final Patch Jersey - White. 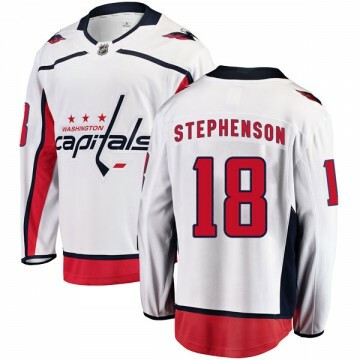 Showcase your dedication to the Washington Capitals by wearing this Breakaway Fanatics Branded Men's Chandler Stephenson Washington Capitals Away Jersey - White. Showcase your dedication to the Washington Capitals by wearing this Breakaway Fanatics Branded Youth Chandler Stephenson Washington Capitals Away Jersey - White. 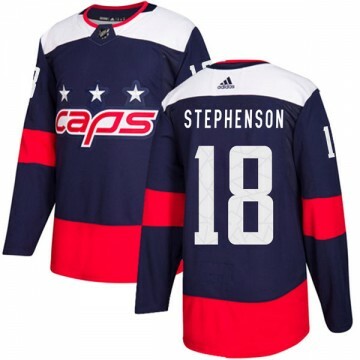 Let everyone know you're the #1 Washington Capitals fan when you sport this Authentic Adidas Men's Chandler Stephenson Washington Capitals 2018 Stadium Series Jersey - Navy Blue! The perfect complement to your Washington Capitals wardrobe, this jersey is sure to turn heads. Let everyone know you're the #1 Washington Capitals fan when you sport this Authentic Adidas Youth Chandler Stephenson Washington Capitals 2018 Stadium Series Jersey - Navy Blue! The perfect complement to your Washington Capitals wardrobe, this jersey is sure to turn heads. Let everyone know you're the #1 Washington Capitals fan when you sport this Authentic Adidas Men's Chandler Stephenson Washington Capitals Home 2018 Stanley Cup Final Patch Jersey - Red! The perfect complement to your Washington Capitals wardrobe, this jersey is sure to turn heads. 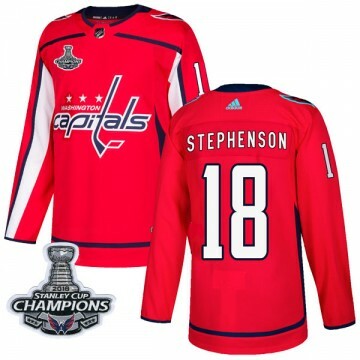 Let everyone know you're the #1 Washington Capitals fan when you sport this Authentic Adidas Youth Chandler Stephenson Washington Capitals Home 2018 Stanley Cup Final Patch Jersey - Red! The perfect complement to your Washington Capitals wardrobe, this jersey is sure to turn heads. 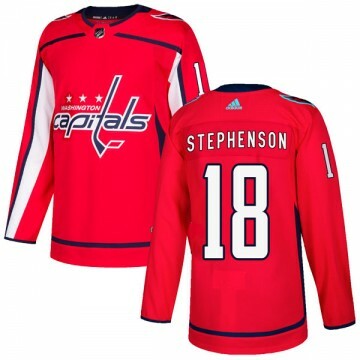 Let everyone know you're the #1 Washington Capitals fan when you sport this Authentic Adidas Men's Chandler Stephenson Washington Capitals Home Jersey - Red! The perfect complement to your Washington Capitals wardrobe, this jersey is sure to turn heads. 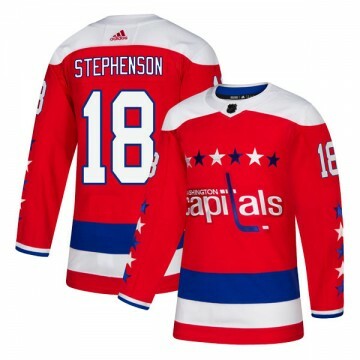 Let everyone know you're the #1 Washington Capitals fan when you sport this Authentic Adidas Youth Chandler Stephenson Washington Capitals Home Jersey - Red! The perfect complement to your Washington Capitals wardrobe, this jersey is sure to turn heads. 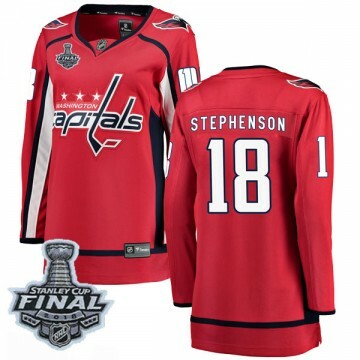 Showcase your dedication to the Washington Capitals by wearing this Breakaway Fanatics Branded Women's Chandler Stephenson Washington Capitals Home 2018 Stanley Cup Final Patch Jersey - Red. 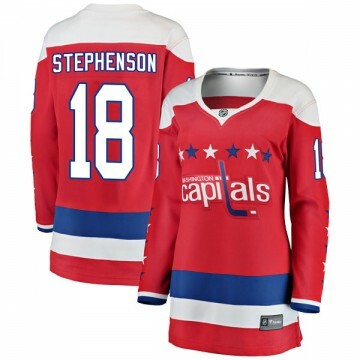 Showcase your dedication to the Washington Capitals by wearing this Breakaway Fanatics Branded Women's Chandler Stephenson Washington Capitals Home Jersey - Red. 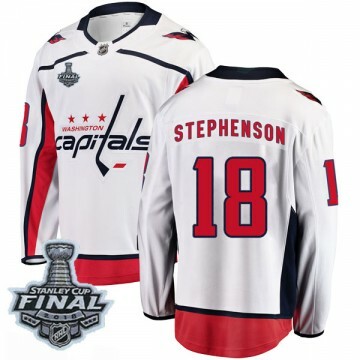 Showcase your dedication to the Washington Capitals by wearing this Breakaway Fanatics Branded Women's Chandler Stephenson Washington Capitals Away 2018 Stanley Cup Final Patch Jersey - White. Showcase your dedication to the Washington Capitals by wearing this Breakaway Fanatics Branded Women's Chandler Stephenson Washington Capitals Away Jersey - White. 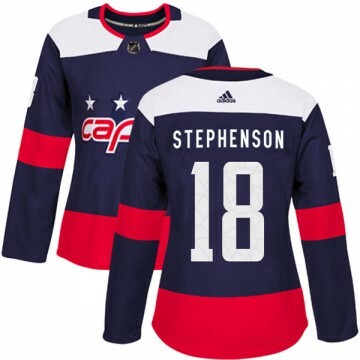 Let everyone know you're the #1 Washington Capitals fan when you sport this Authentic Adidas Women's Chandler Stephenson Washington Capitals 2018 Stadium Series Jersey - Navy Blue! The perfect complement to your Washington Capitals wardrobe, this jersey is sure to turn heads. 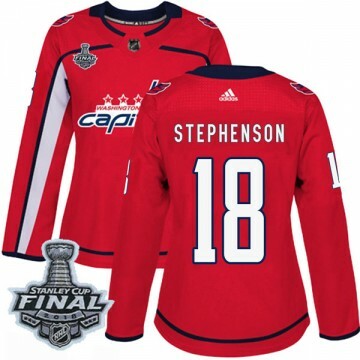 Let everyone know you're the #1 Washington Capitals fan when you sport this Authentic Adidas Women's Chandler Stephenson Washington Capitals Home 2018 Stanley Cup Final Patch Jersey - Red! The perfect complement to your Washington Capitals wardrobe, this jersey is sure to turn heads. Let everyone know you're the #1 Washington Capitals fan when you sport this Authentic Adidas Women's Chandler Stephenson Washington Capitals Home Jersey - Red! The perfect complement to your Washington Capitals wardrobe, this jersey is sure to turn heads. Showcase your dedication to the Washington Capitals by wearing this Breakaway Fanatics Branded Men's Chandler Stephenson Washington Capitals Home 2018 Stanley Cup Champions Patch Jersey - Red. Showcase your dedication to the Washington Capitals by wearing this Breakaway Fanatics Branded Youth Chandler Stephenson Washington Capitals Home 2018 Stanley Cup Champions Patch Jersey - Red. Showcase your dedication to the Washington Capitals by wearing this Breakaway Fanatics Branded Men's Chandler Stephenson Washington Capitals Away 2018 Stanley Cup Champions Patch Jersey - White. Showcase your dedication to the Washington Capitals by wearing this Breakaway Fanatics Branded Youth Chandler Stephenson Washington Capitals Away 2018 Stanley Cup Champions Patch Jersey - White. Let everyone know you're the #1 Washington Capitals fan when you sport this Authentic Adidas Men's Chandler Stephenson Washington Capitals Home 2018 Stanley Cup Champions Patch Jersey - Red! The perfect complement to your Washington Capitals wardrobe, this jersey is sure to turn heads. 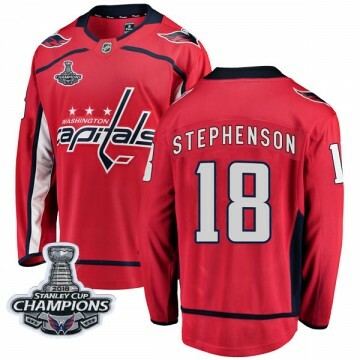 Let everyone know you're the #1 Washington Capitals fan when you sport this Authentic Adidas Youth Chandler Stephenson Washington Capitals Home 2018 Stanley Cup Champions Patch Jersey - Red! The perfect complement to your Washington Capitals wardrobe, this jersey is sure to turn heads. Showcase your dedication to the Washington Capitals by wearing this Breakaway Fanatics Branded Women's Chandler Stephenson Washington Capitals Home 2018 Stanley Cup Champions Patch Jersey - Red. Showcase your dedication to the Washington Capitals by wearing this Breakaway Fanatics Branded Women's Chandler Stephenson Washington Capitals Away 2018 Stanley Cup Champions Patch Jersey - White. Let everyone know you're the #1 Washington Capitals fan when you sport this Authentic Adidas Women's Chandler Stephenson Washington Capitals Home 2018 Stanley Cup Champions Patch Jersey - Red! The perfect complement to your Washington Capitals wardrobe, this jersey is sure to turn heads. Showcase your dedication to the Washington Capitals by wearing this Breakaway Fanatics Branded Men's Chandler Stephenson Washington Capitals Alternate Jersey - Red. Showcase your dedication to the Washington Capitals by wearing this Breakaway Fanatics Branded Youth Chandler Stephenson Washington Capitals Alternate Jersey - Red. 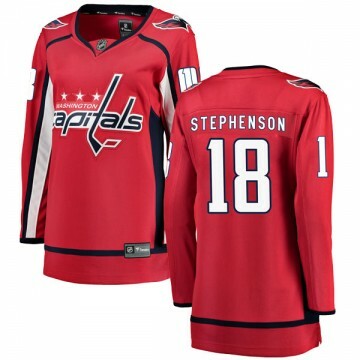 Let everyone know you're the #1 Washington Capitals fan when you sport this Authentic Adidas Men's Chandler Stephenson Washington Capitals Alternate Jersey - Red! The perfect complement to your Washington Capitals wardrobe, this jersey is sure to turn heads. 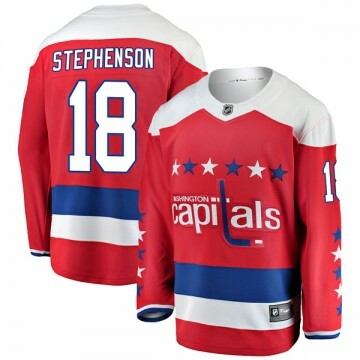 Let everyone know you're the #1 Washington Capitals fan when you sport this Authentic Adidas Youth Chandler Stephenson Washington Capitals Alternate Jersey - Red! The perfect complement to your Washington Capitals wardrobe, this jersey is sure to turn heads. Showcase your dedication to the Washington Capitals by wearing this Breakaway Fanatics Branded Women's Chandler Stephenson Washington Capitals Alternate Jersey - Red.